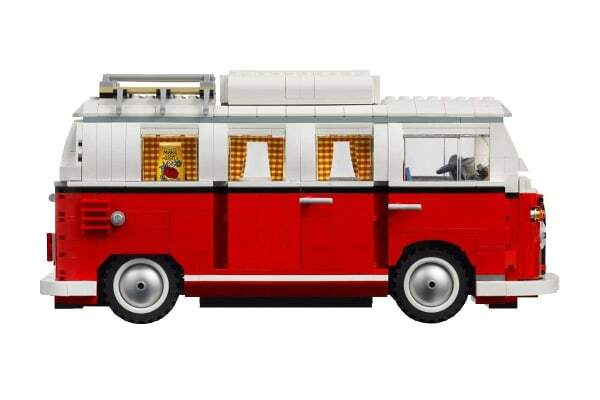 The LEGO Creator Volkswagen T1 Camper features every iconc detail of the classic Volkswagen Camper Van from 1962. 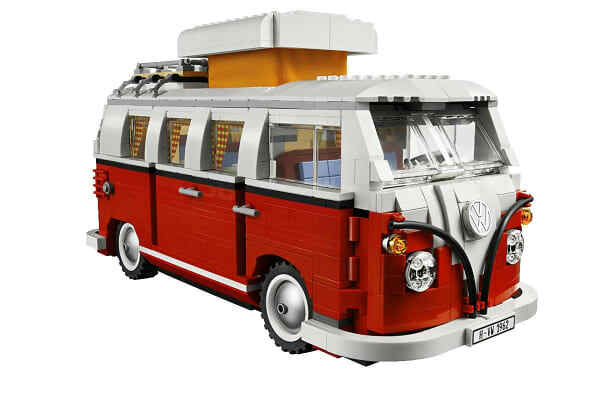 On the outside, the LEGO Creator Volkswagen T1 Camper Van includes the ‘V’ shape three-way colour split at the front, rounded roof and window frames, opening ‘splittie’ safari windshield, opening doors, iconic pop-up roof with textile curtain surround, roof rack, rear side air intake vents and lots more! 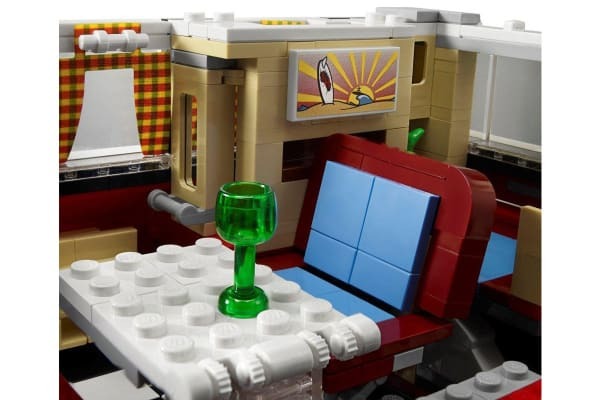 The detailing is equally impressive on the inside, from the authentic VW air-cooled flat four cylinder boxer engine, front cabin bench seat, gear stick, angled dashboard and iconic spherical speedometer, to custom LEGO features like folding rear bench seat, folding dinette table, closet with mirror and even a painting!